Livestock cooling systems from Mr Nozzle offer an easy and effective method of controlling the temperature of livestock. These coolers feature high pressure nozzles operating at 1000 psi to produce a fog that can be used to cool with or without fans. 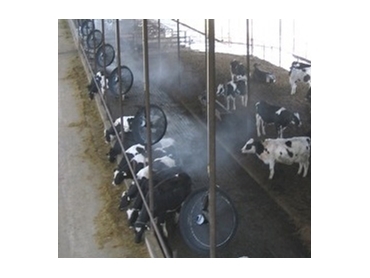 Apart from making life easier on the animals involved, livestock cooling systems help reduce stress, improve productivity, and minimise stock losses during heat waves. They are suitable for most animals and are recommended for installation in dairies, cattle feed lots, poultry sheds, piggeries, dog and cat boarding kennels and so forth. In addition, Mr Nozzle can tailor make these systems to suit specific applications.